We started cakes II yesterday but due to the multi-step (chill, assemble, chill, assemble) nature of cakes, I had nothing to "showcase" yesterday. Fraisier is a strawberry, sponge and mousseline (pastry cream and butter) cake. The green top layer is marzipan (basically ground almond and sugar). 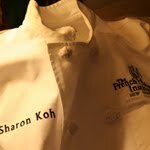 Christmas came early in the sweet kitchen. It's odd to be making a Buche de Noel (Christmas Log) in summer but that's what we did. 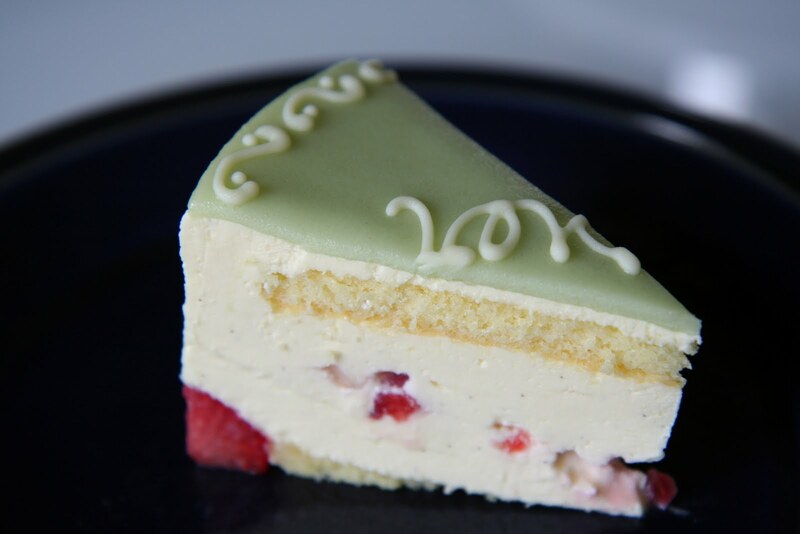 To make it feel extra "holiday'ish", we used cranberries to flavour the butter cream. Where's Santa? 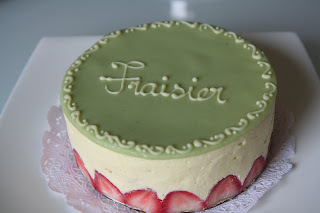 The Fraisier was music to my mouth. So delicious. 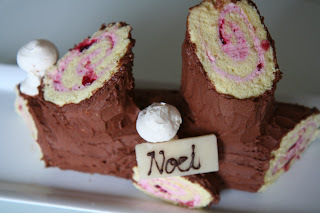 I loved the filling in the Buche de Noel. No poundage gained. Ha! I've conquered the Christmas cakes.